Join us for Lucy Davidson's PhD completion talk! 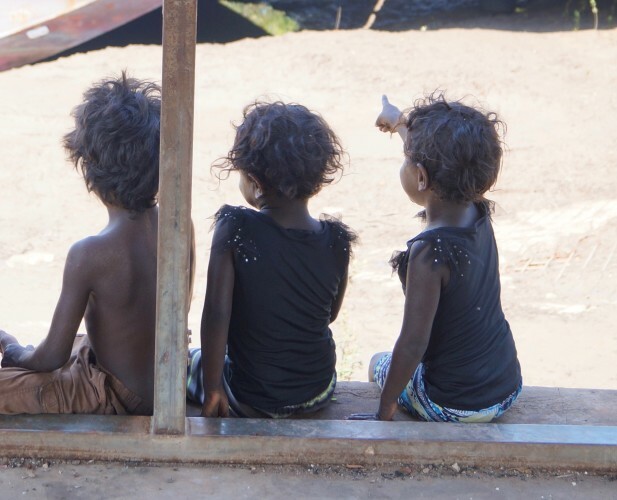 In this talk, I provide an overview of my PhD research, which investigates the linguistic practices of eight children, aged between 2;10 and 7;2, who speak the traditional Australian language, Murrinhpatha. The specific focus of this project is how children use linguistic and cultural resources to manage interactions with peers; how children use language to affiliate with some children and disaffiliate from others. The data drawn on in this study is naturally occurring speech, collected over a period of 21 months, in the remote community of Wadeye, NT. Applying Membership Categorisation Analysis (Sacks, 1992) (MCA) to the data, I examine the children’s use of category terms (e.g. ‘girl’, ‘child’, ‘teacher’, ‘Spiderman’), and describe the actions that speakers pursue with their productions of such terms. Key findings from the study are presented and discussed in relation to existing understandings of children’s communicative abilities and strategies. Lucy Davidson is a PhD candidate in the School of Languages and Linguistics, at The University of Melbourne. Her primary research interest is children’s language in use, and how this differs according to age and interactional context.